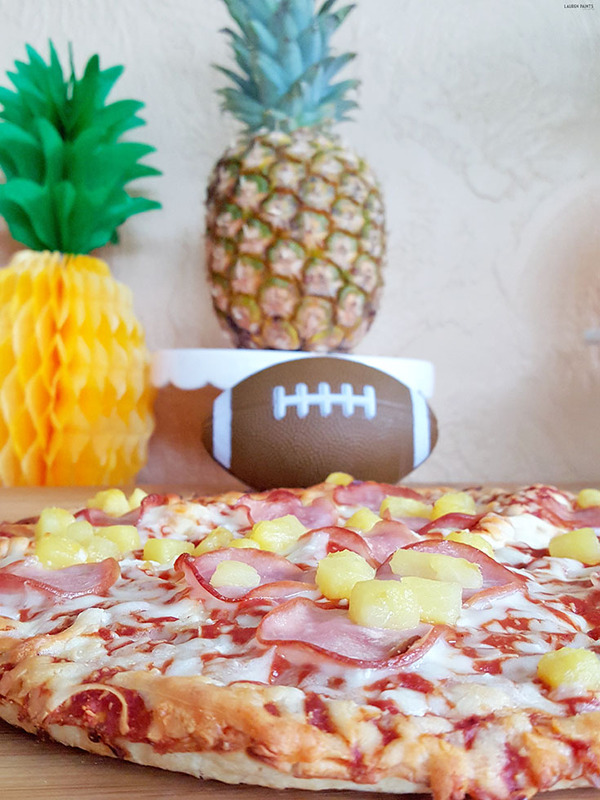 Celebrate The Big Game with a Pineapple Party! 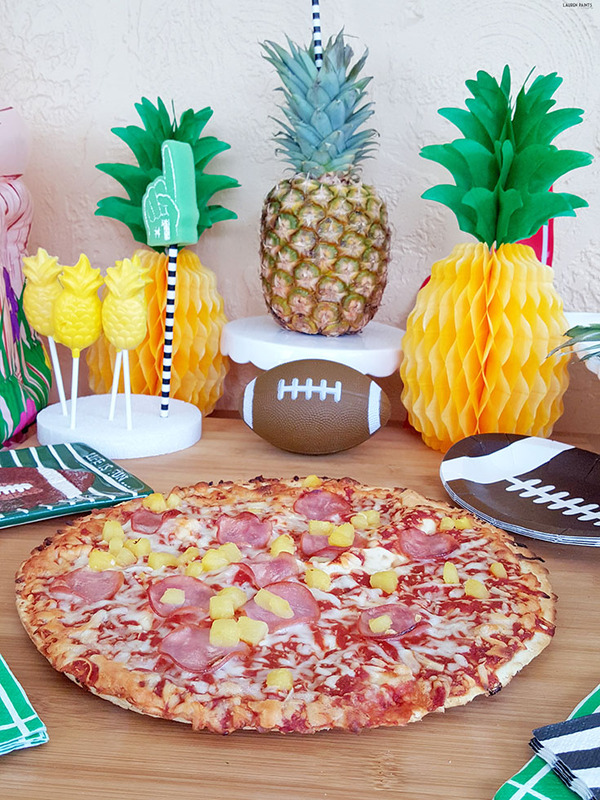 The countdown to the Big Game is on and that means we're all watching our favorite football teams a little closer and enjoying some of our favorite foods while cheering them on. With that said, this weekend I had a little shindig to celebrate and while the game was good, the food was delicious! 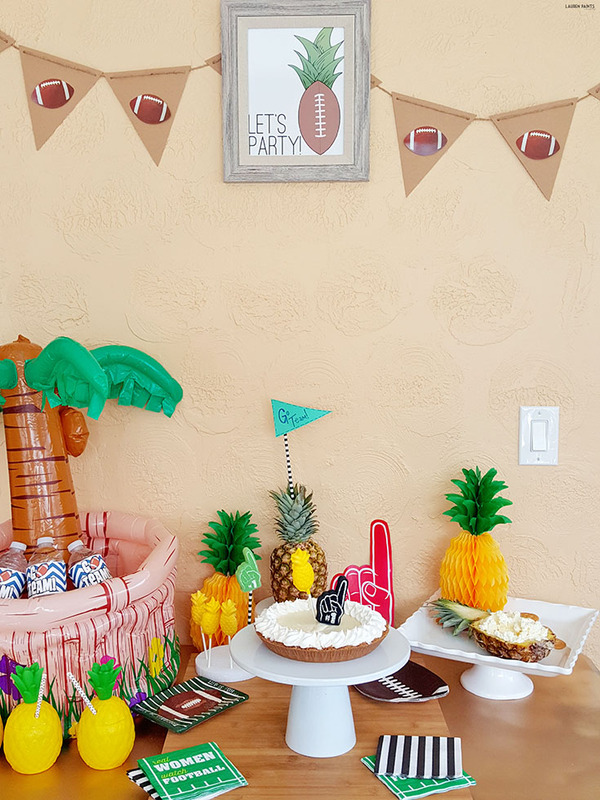 Are you planning on hosting a party to watch the Big Game with your family and friends? 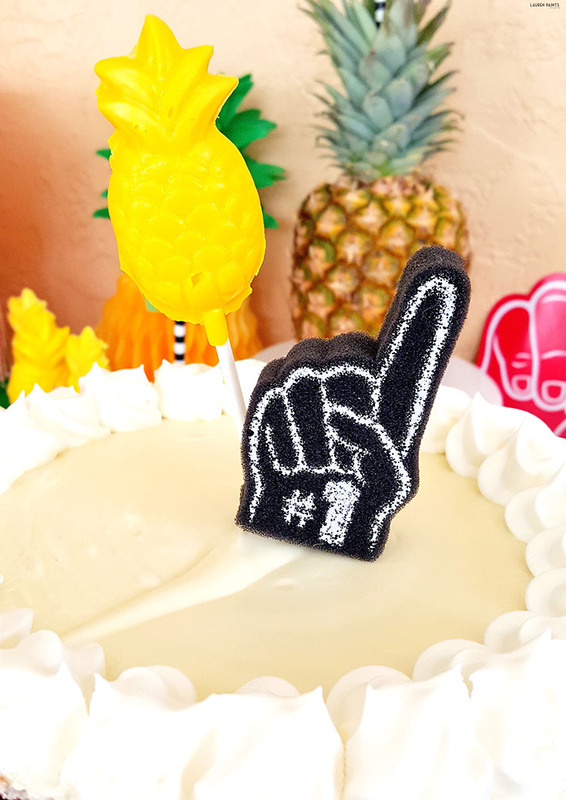 You're in luck because this Pineapple party is the sweetest and most creative way to celebrate and I'm dishing out all the details and sharing a super cute printable to set the theme for your party! We'll start with the chow, because who doesn't love food?! 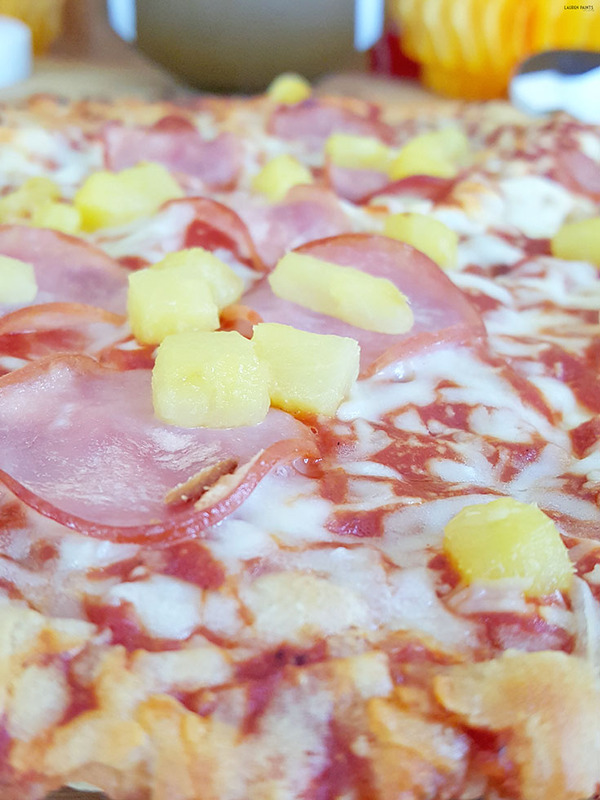 I decided to keep things simple, yet pineapple-y and the end result is sweet and savory and absolutely delicious. 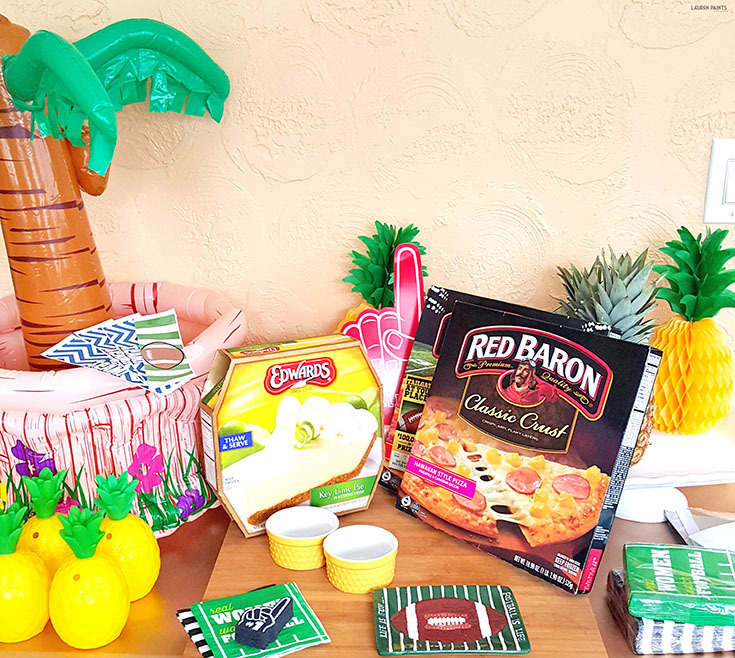 The Red Baron Classic Crust Hawaiian-Style makes the perfect centerpiece for a pineapple party with perfect little pieces of savory Canadian bacon and delicious little tangy pieces of pineapple in each bite! 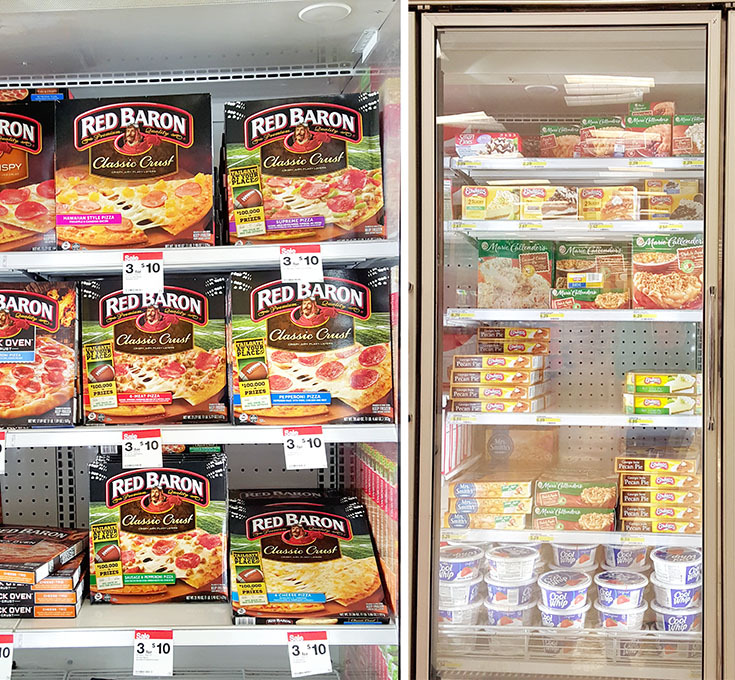 Plus, you can snag plenty of pizza at Target for everyone to eat and score a 5% discount with the cartwheel app... and it's so easy to pop these in the oven and have a meal served in just a few minutes-- I know I won't miss a minute of the game thanks to the simplicity of fixing Red Baron Pizza and I definitely won't sacrifice any flavor either! Literally, crust perfection in every bite is that easy! 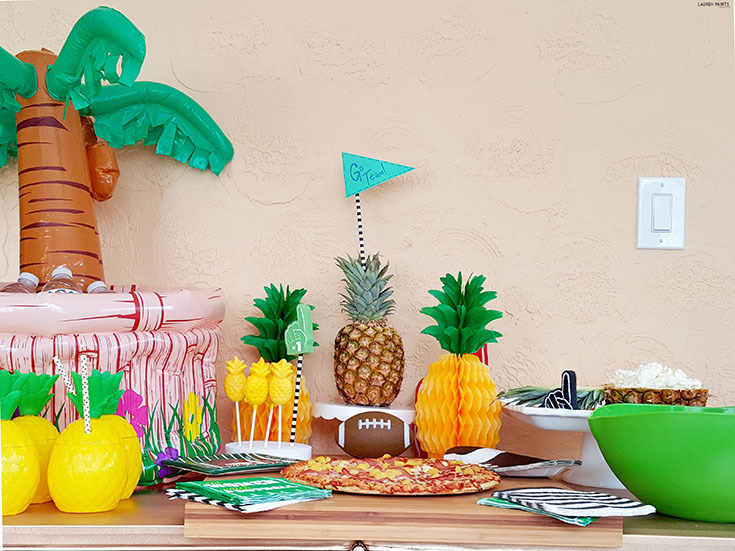 While pizza is a fan favorite, you know I had to add plenty of pineapple into the mix for a pineapple party! 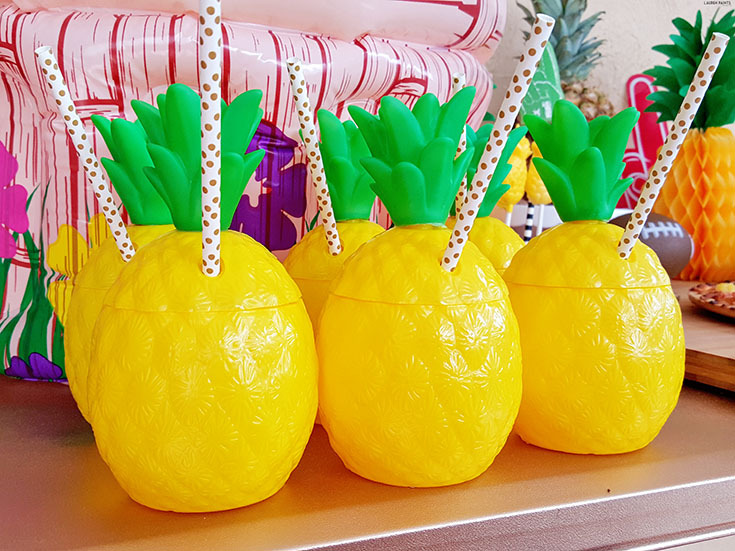 So I served up these adorable little pineapple cups full of freshly-made pineapple juice, straight from my juicer! Now I know what you're thinking, what more could I add to this delicious spread? Well, the answer is simple. 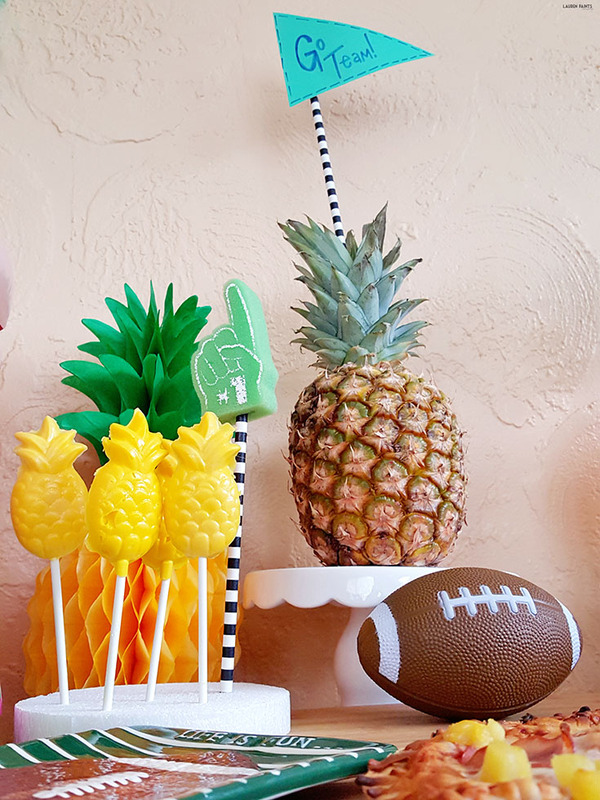 These two recipes I'm sharing today are the perfect pairing for your pineapple party and they both are easy to make! 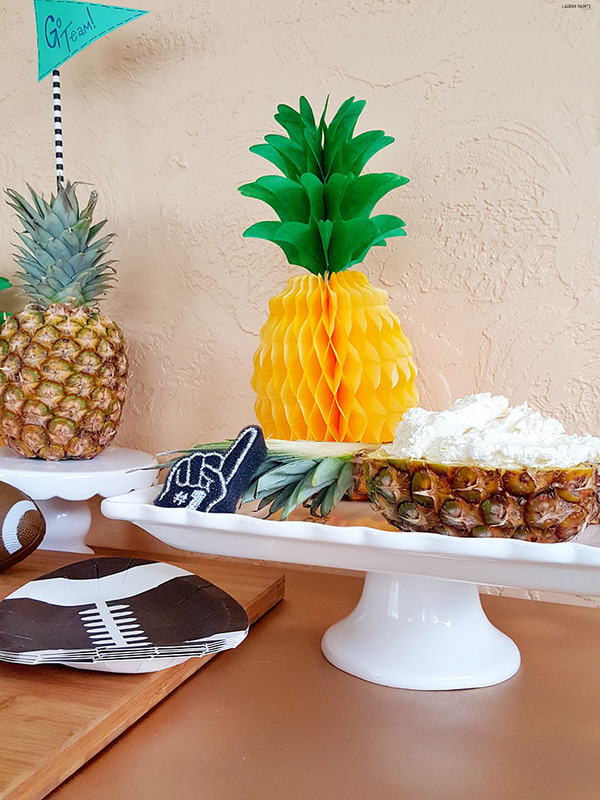 We'll start with the fun and festive Pineapple Kicker Dip! It's so delicious and has the perfect amount of sweetness to it! The toughest part of this recipe is slicing your pineapple in half, which really only takes a steady hand and a sharp knife. Once that mission is accomplished, it's all gravy from there. You'll just scoop out the inside of one half of the pineapple and place it in a bowl. Mix the inside of the pineapple with about 2/3 of the whipped topping and add in 1/4 of the pudding mix. Mix it all together really well and place back into the shelled Pineapple. 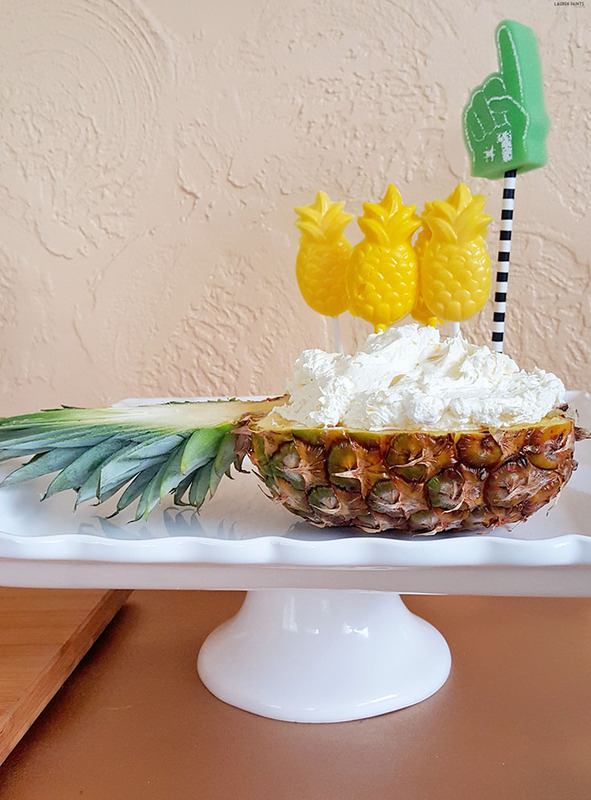 Serve with fruit, crackers, or whatever floats your pineapple boat! 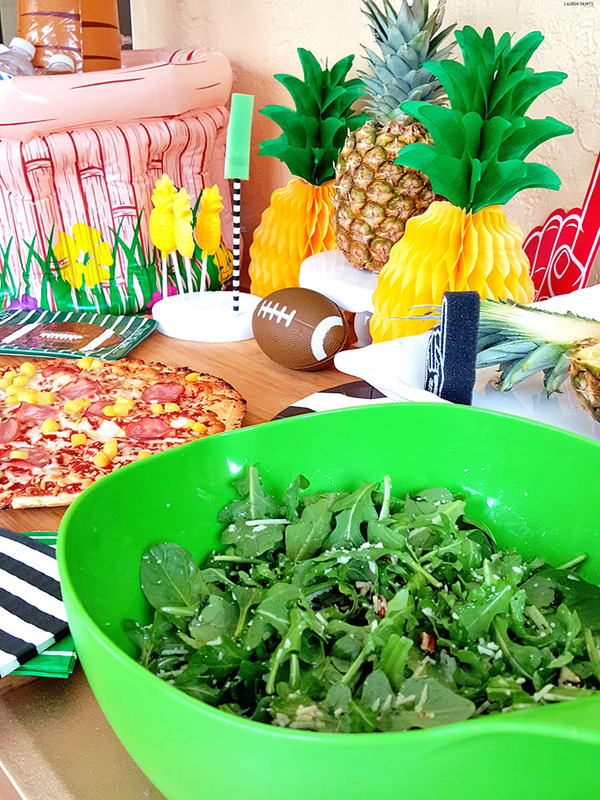 Now that we've scored a "field goal" with the Pineapple Kicker Dip, I want to share my favorite salad recipe with you... it's definitely going to be a hit with your crew! While it's super delicious, it actually includes apple instead of pineapple... regardless, it's the perfect way to serve up something somewhat healthy without sacrificing any flavor! The good news is this salad is super simple to make, but it doesn't taste like it! You'll begin by whisking the vinegar, oil, garlic, Dijon, salt, and pepper for about a minute; making sure it's all combined perfectly. Set aside. 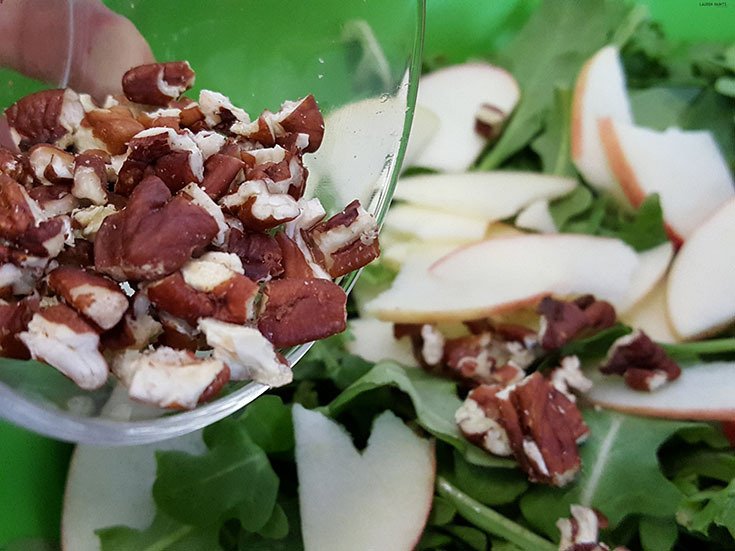 Now toss the arugula, spinach, apple, Parmesan, and pecans. 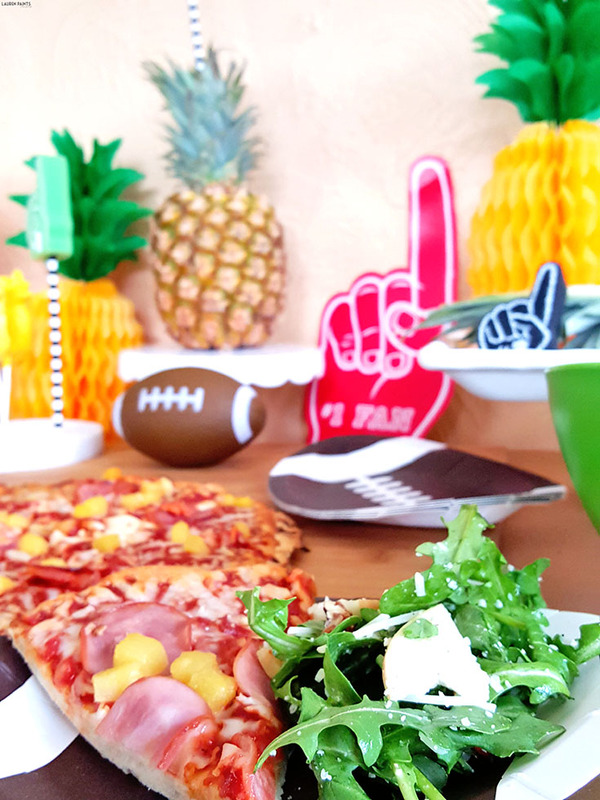 Add in the dressing when ready to serve and you're all set to score a touchdown with all your team mates! Now that I've shared how I whipped together two delicious recipes, next on my list of party foods is the delicious Key Lime Edwards Pie! While key lime obviously isn't the same as pineapple, it makes the perfect compliment with it's creamy, tart flavor and is the perfect way to end the meal! Plus, Edwards Pies taste homemade so you're able to serve up a pie from the heart while only having to supply minimal effort to de-thaw the package! 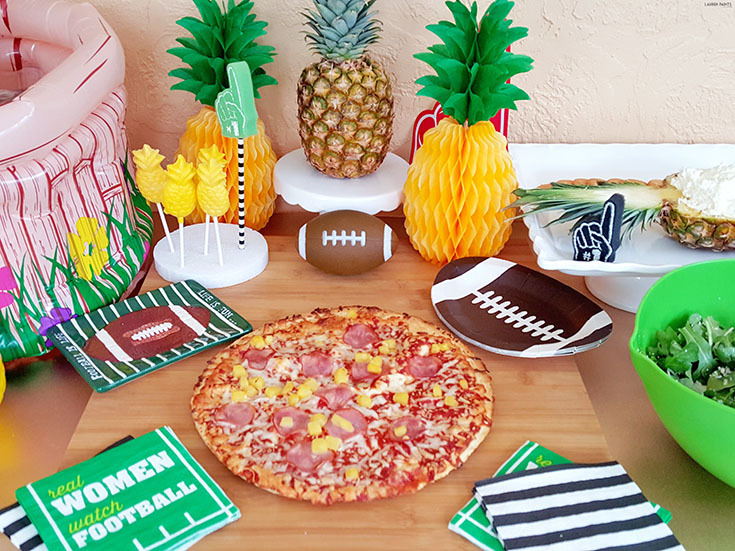 What more could a football loving gal wish for on the day of the Big Game? 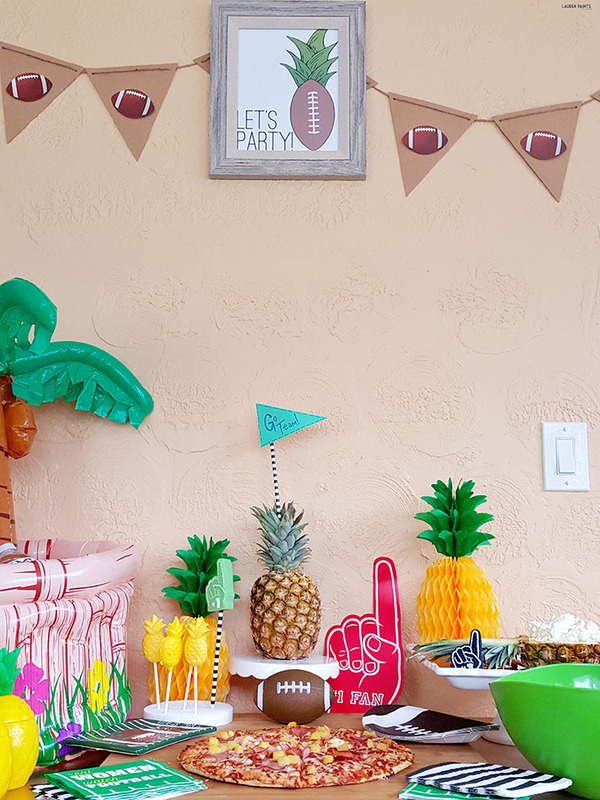 Other than the food, my table decor consisted of some adorable little paper pineapples, a few handmade accessories, an inflatable "cooler" for all of our bottled beverages, some fun & festive napkins, a couple of homemade pineapple chocolate candies, a simple banner, and this free printable perfect for the pineapple party! 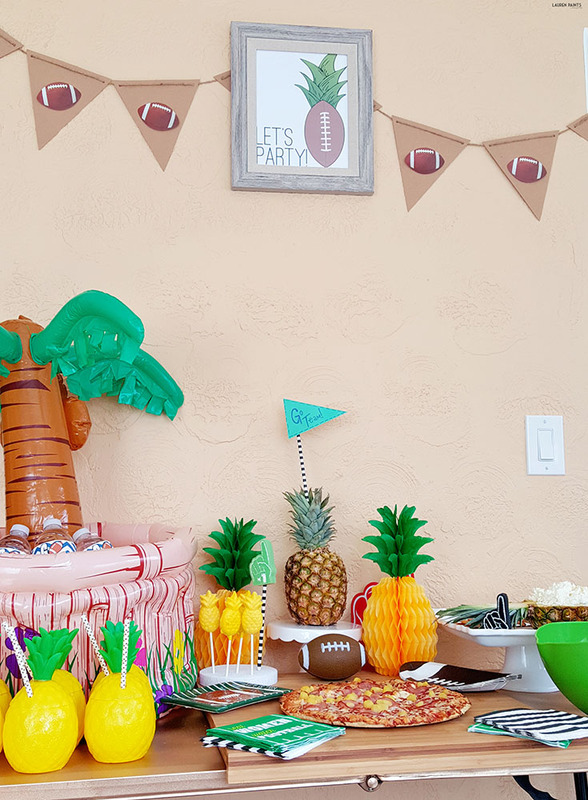 So now that I've shared how you can have the sweetest (and most delicious) party on the block for game day, I'd love to hear what you love about watching the game with your family? 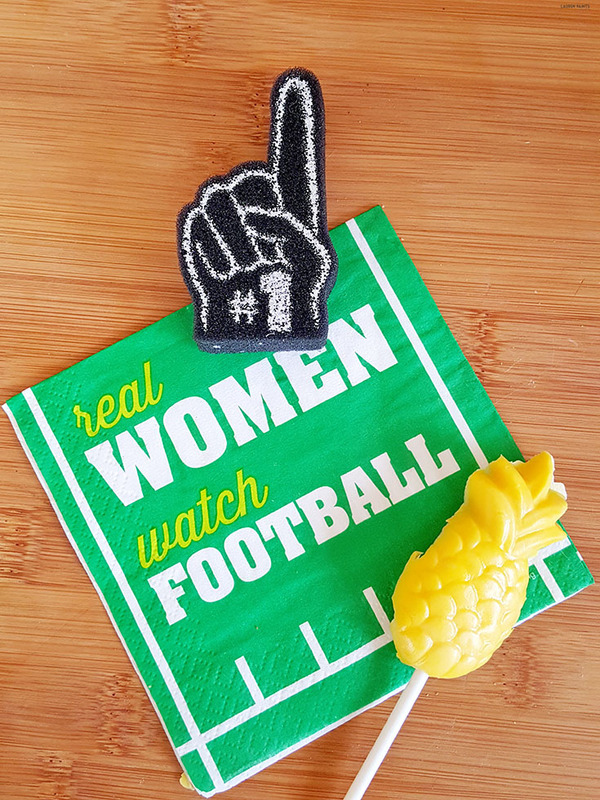 Are you a fan of the commercials, a die-hard football foodie, or do you watch the game with more enthusiasm than the coaches? Tell me all about it in the comments below and don't forget to head to Target to score your favorites and snag a deal or two with the Cartwheel app!